In the autumn of 1958, Roy Daniells, Head of UBC’s Department of English, English professor Stanley E. Read, and university librarians Inglis Bell and Neal Harlow invited lecturer George Woodcock to edit a University of British Columbia quarterly devoted solely to the critical discussion of Canadian writing. Woodcock accepted and in Autumn 1959 the first issue of Canadian Literature was published. Its title asserted their belief that Canada had its own distinct literature—a concept doubted by some individuals in the literary community, who questioned the existence of a national literature and predicted that the journal would run out of material after only a few issues. However, Woodcock’s highly personal style, his previous experience with English magazine publication, and his international range of contacts helped ensure the journal’s initial success. The arrival of numerous new and talented writers in the 1960s and 1970s, including Margaret Atwood, Margaret Laurence, Mordecai Richler, among others, solidified Canadian Literature’s position as the venue for the critical discussion of Canadian writing. Rather than facing a shortage of submissions, Woodcock had to become increasingly selective about which articles and reviews he published. His commitment to publishing for a general readership and the lively seriousness that he encouraged in critical writing helped foster a wider academic interest in the Canadian literary field. Woodcock retired in 1977 after editing 73 issues. After Woodcock retired, UBC invited W. H. New to edit the journal. New had been an assistant editor at Canadian Literature since 1965 and, as a respected voice in Canadian literary criticism, he had the reputation, expertise, and vision to ensure the journal’s continuing success. While preserving the essence of the journal as a general critical magazine, New addressed and adjusted to new developments in Canadian literature by introducing a more thorough examination of connections between cultural and intellectual history. With the help of Associate Editors Eva-Marie Kröller and Laurie Ricou, he planned special issues on areas they felt were underrepresented in Canadian criticism. Issues on Asian Canadian writing, Caribbean Canadian writing, and other minority literatures in Canada were the result. Canadian Literature has also published three special issues on Aboriginal writing (#124/5, #161/2, and #167). W. H. New was elected a Fellow of the Royal Society of Canada in 1986. 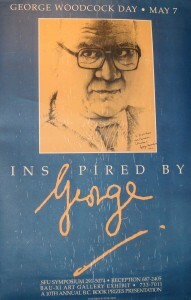 He stepped down in 1995 after 72 issues and 18 years as Editor. In 2007, the Governor General named New an Officer of the Order of Canada. New was replaced by Eva-Marie Kröller. Kröller recruited an editorial board of distinguished scholars from Canada and abroad and formalized the peer review process used by the previous editors. In order to introduce a diversity of opinions and expertise to the journal, she began a tradition of having guest editors plan and supervise special issues, such as the Contemporary Poetics issue (guest edited by Associate Editor Iain Higgins in 1997) and Gabrielle Helms’ and Susanna Egan’s 2002 Auto/biography issue. Her commitment to representing Canada’s francophone writers led Kröller to appoint Alain-Michel Rocheleau as Associate Editor of francophone writing. Gradually French-language content increased, and the efforts of Associate Editor Réjean Beaudoin, who became the Associate Editor (Francophone) in 2003, have produced the notable special issues Littérature francophone hors-Québec / Francophone Writing Outside Quebec (2005) and Gabrielle Roy Contemporaine / The Contemporary Gabrielle Roy (2007). Kröller was also responsible for the journal’s transition to electronic publishing, and under her direction the upcoming book reviews were added to Canadian Literature’s website. Kröller edited 32 issues and held the position of Editor until 2003. She won the Council of Editors of Learned Journals’ Distinguished Editor award in 2004, becoming the first Canadian to receive the honour. She became a fellow of the Royal Society in 2006. Kröller was succeeded as editor by Laurie Ricou. During his term as Editor, Ricou focused on producing special issues such as Black Writing in Canada (2004), The Literature of Atlantic Canada (2006), and South Asian Diaspora (2006). Ricou expanded CL’s web presence, including the relaunch of CL’s website, moving the print indexes online, and introducing CanLit Poets. Laurie Ricou became a Fellow of the Royal Society in 2006. He also began coordinating Canadian Literature’s 50th Anniversary Gala and 50th Anniversary anthology, From A Speaking Place, and continued on the planning committee after stepping down in Summer 2007, having edited 14 issues. Ricou was followed by fellow UBC English professor and Canadian literature specialist Margery Fee, an associate editor from 1995 to 2000. With an interest in technology and an eye to the future, Fee has concentrated on bringing open access to the journal: issues #1-199 of Canadian Literature are now openly available on the CL website. Fee also supported CL’s transition from paper to online submissions, CanLit Submit. During her editorship, she has overseen special issues Diasporic Women’s Writing (2008), Asian-Canadian Studies (2008), Disappearance and Mobility (2009), Sport and the Athletic Body (2009), Queerly Canadian (2010), Mordecai Richler (2011), Prison Writing (2011), Spectres of Modernism (2011), Twenty-first Century Poetics (guest editors Clint Burnham and Christine Stewart), New Work on Early Canadian Literature (guest editors Janice Fiamengo and Thomas Hodd), and Indigenous Focus (2012). Fee became a Fellow of the Royal Society of Canada in 2017. Laura Moss is Professor of English in the Department of English Language and Literatures. She teaches Canadian and postcolonial literatures at the University of British Columbia. She has had a long history of involvement with Canadian Literature and its related projects. Since 2004, she has worked as an associate editor at the journal and, since 2012, she has played a pivotal role as one of the contributing editors for the online teaching resource CanLit Guides. She also served as acting editor in 2009 and 2013-2014, overseeing a number of special and regular issues while contributing editorials and book reviews along the way. Moss is the co-editor (with Cynthia Sugars) of the two-volume Canadian Literature in English: Texts and Contexts (2008, 2009), the editor of Is Canada Postcolonial? : Unsettling Canadian Literature (2003) a scholarly edition of The History of Emily Montague (2001), and Leaving the Shade of the Middle Ground: The Poetry of F. R. Scott (2011). She has also published articles on subjects such as literary pedagogy, magic realism, Canadian broadcasting, public arts policy in Canada, narrative medicine, and public memorials in Vancouver’s Downtown Eastside. 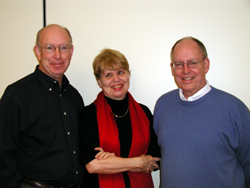 In addition to her research and work with the journal, Moss has had an active presence in numerous university communities. She served as chair of the UBC Canadian Studies Program (2008-2011), director of the International Canadian Studies Centre (2008-2011), and leader of the UBC GRSJ-CWILA Research Network (2013-2014). She was also on the CWILA board of directors from 2012-2014. In 2013, she was awarded a Killam Teaching Prize. 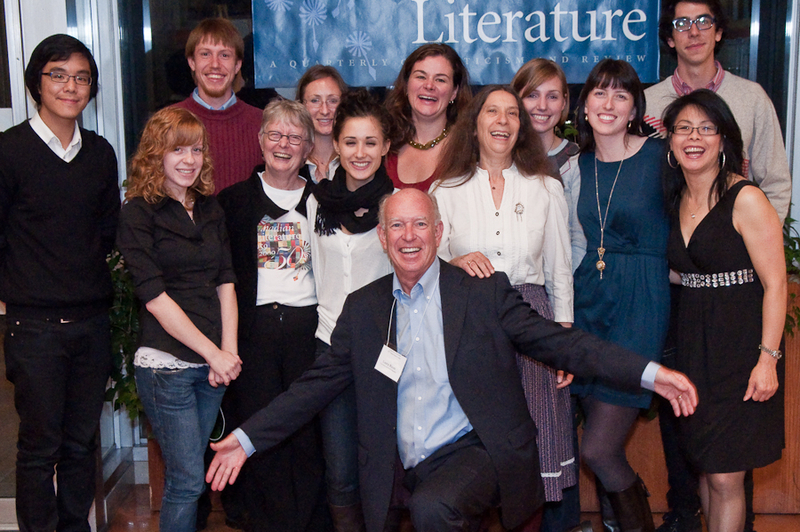 In 2009 Canadian Literature celebrated its 50th anniversary with a four-day gala, including a two-day conference titled “The Future of Canadian Literature/Canadian Literature,” featuring Canadian and international academics, graduate students, and acclaimed writers. Since 1959, Canadian Literature has grown and evolved, reflecting changes in Canadian society and in literary studies. Scholarship has become more specialized, eclectic, and international, and so has the journal. More contributors are now women, and more submissions are concerned with women writers. Ethnicity has become a recurrent theme reflecting Canada’s increasingly diverse population. The size of the journal has increased in order to accommodate the range of research and the much larger number of books being published in and about Canada. Since its early days, Canadian Literature has printed original, previously unpublished poetry by Canadian poets in the journal; in 2008, CL launched CanLit Poets, an ongoing online archive of poems published in Canadian Literature, which also includes profiles and Q&As with the poets themselves. In 2011, Canadian Literature launched its online submission system, CanLit Submit, in an effort to go paperless. Canadian Literature continues to take its primary direction from the interests of contributors and readers. Our general issues cover a range of periods and topics while our special issues focus on more specific topics. Managing Editor Donna Chin has been responsible for the production and financial affairs at Canadian Literature since 1996. She has undertaken projects to enhance the administrative and production side of the journal as well as increasing brand name recognition of Canadian Literature among publishers. She has been involved in fundraising and promoting the journal with special projects. She organized an eAuction in 2005 to raise funds used to create the Canadian Literature Student Award. This special university scholarship, an editorial internship, gives UBC Arts Co-op students the opportunity to enhance their knowledge and experience while learning about the world of Canadian literature, publishing, research, and writing. The internship is a step towards creating a new generation of young editors with expertise in the field of Canadian literature and publishing. She has mentored many work study and co-op students giving these students the opportunity to enhance their knowledge and experience while learning about the world of Canadian literature, publishing, research, and writing. Chin also coordinated four redesigns and the expansion of CL’s website, initiating many of its most popular features, such as the journal and publisher lists. She is also responsible for the digitization of the business side of CL’s operations, especially the conversion of various databases, making sure the journal is able to keep up with evolving technology. Donna Chin received the UBC President’s Service Award for Excellence in 2000. In 1988, Canadian Literature became the first and only journal to win the Gabrielle Roy Prize for best English book-length studies in Canadian and Québec literary criticism. 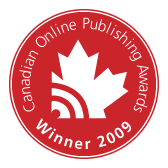 In 2009, Canadian Literature won a Canadian Online Publishing Award for Best Cross Platform for CanLit Poets. Under Donna Chin’s management, Canadian Literature has been funded by the Heritage Canada Magazine Fund and UBC’s Teaching Learning Enhancement Fund.